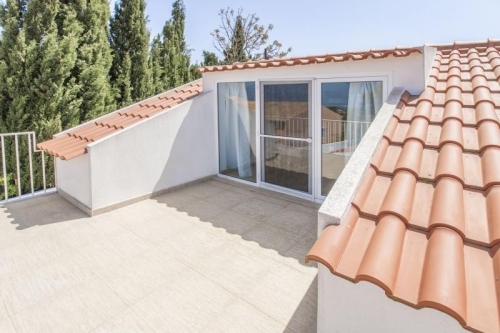 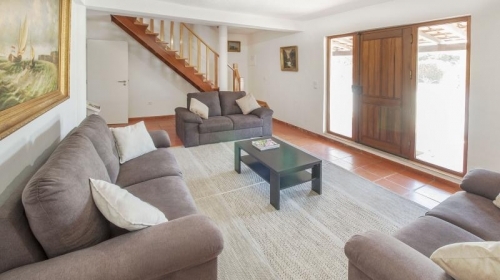 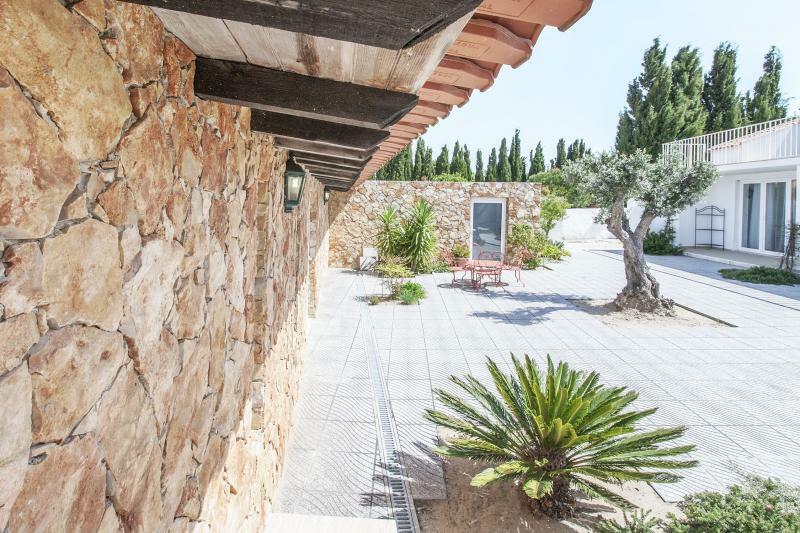 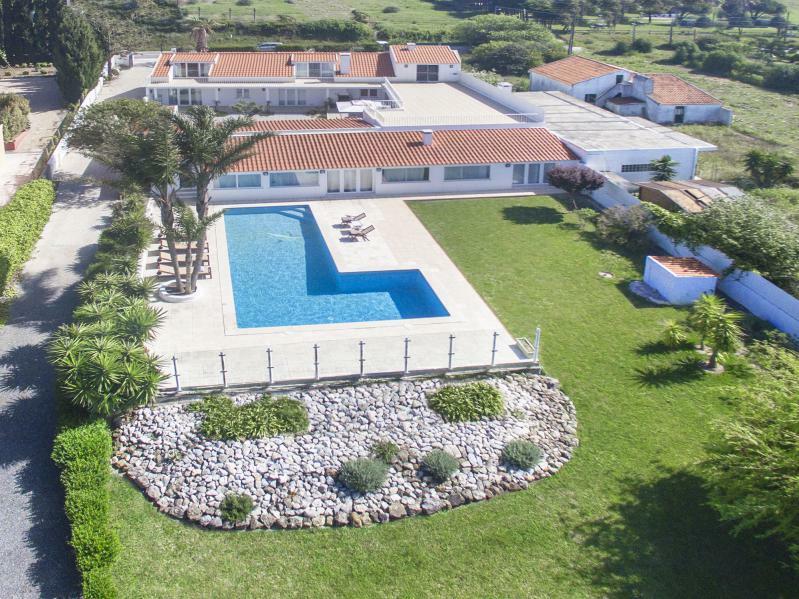 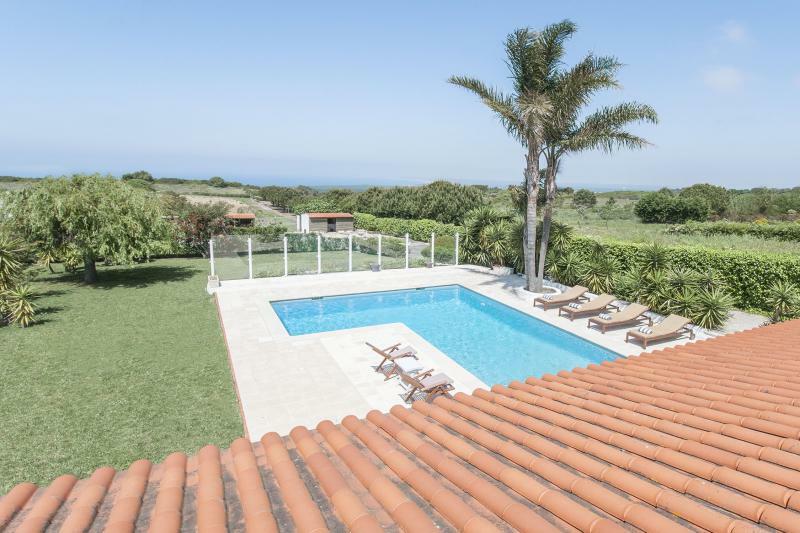 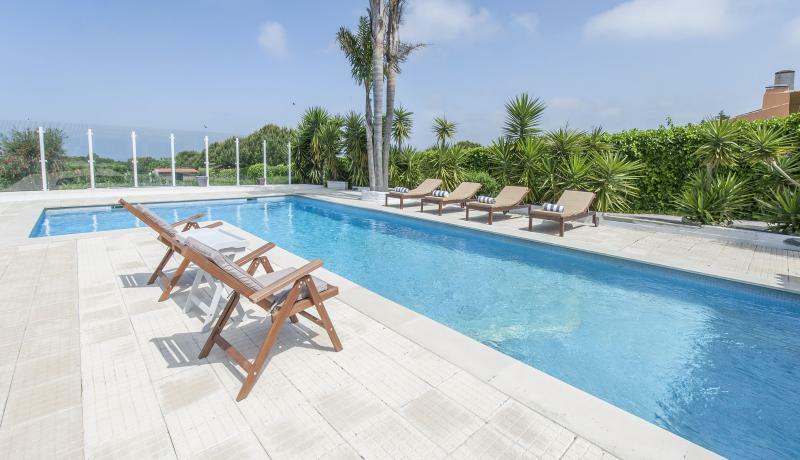 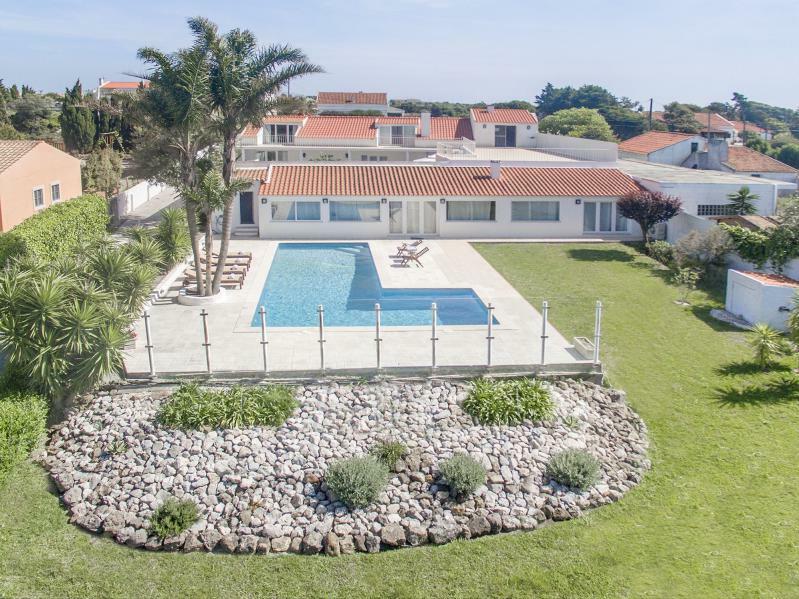 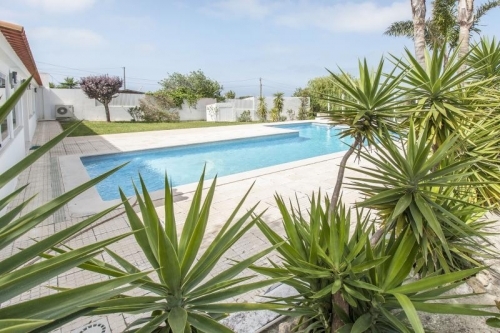 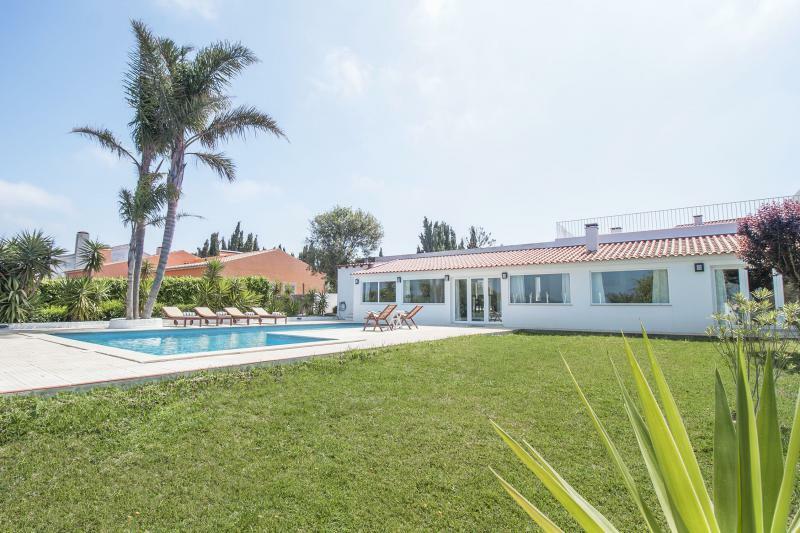 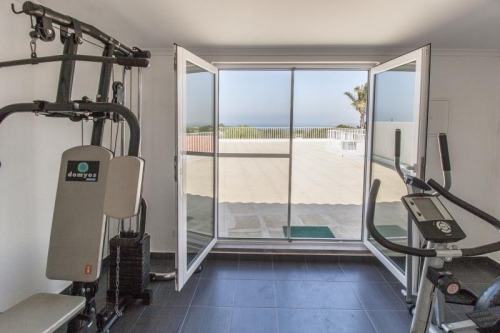 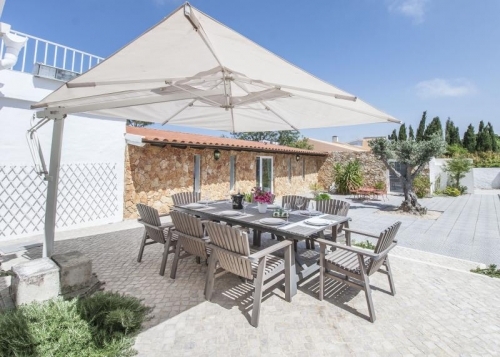 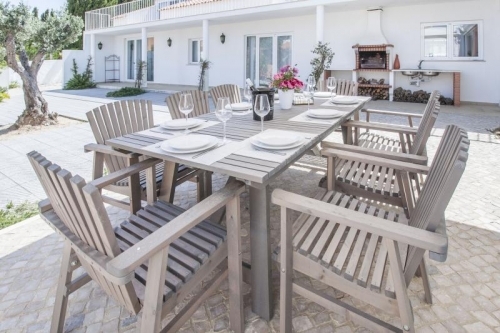 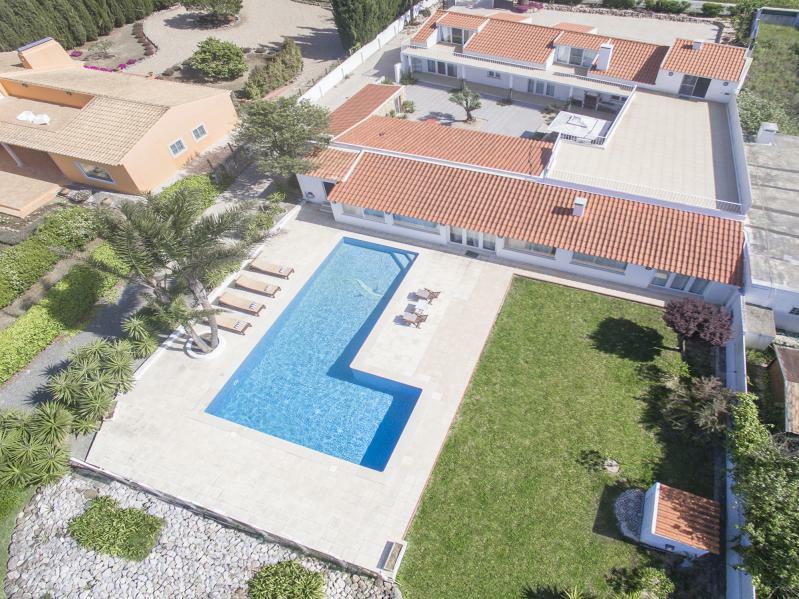 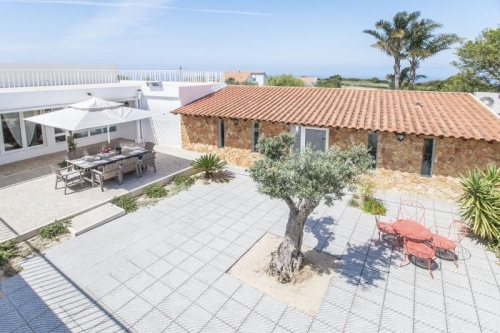 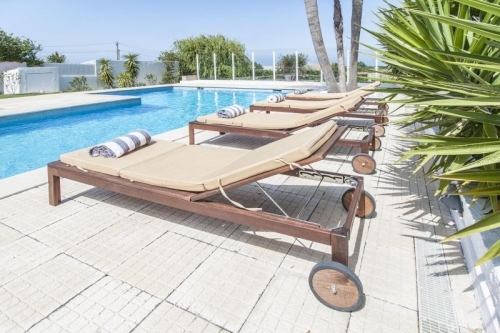 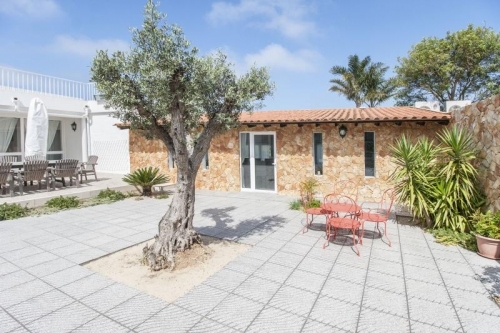 Attractive villa with a superb L shaped private pool located 7 km from the centre of Sesimbra which is 44 km south of Lisbon, just 2 km from the beach. 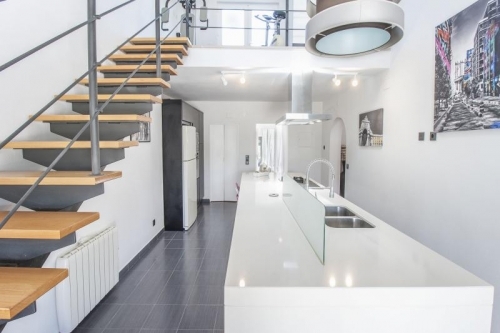 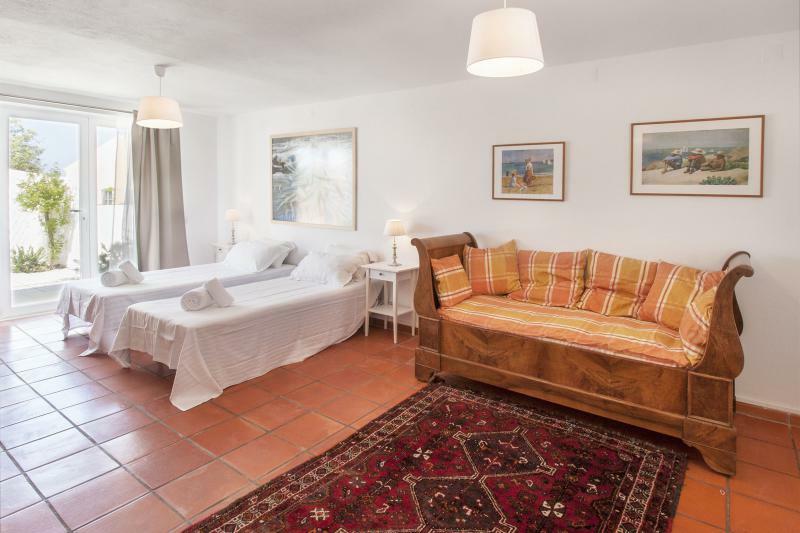 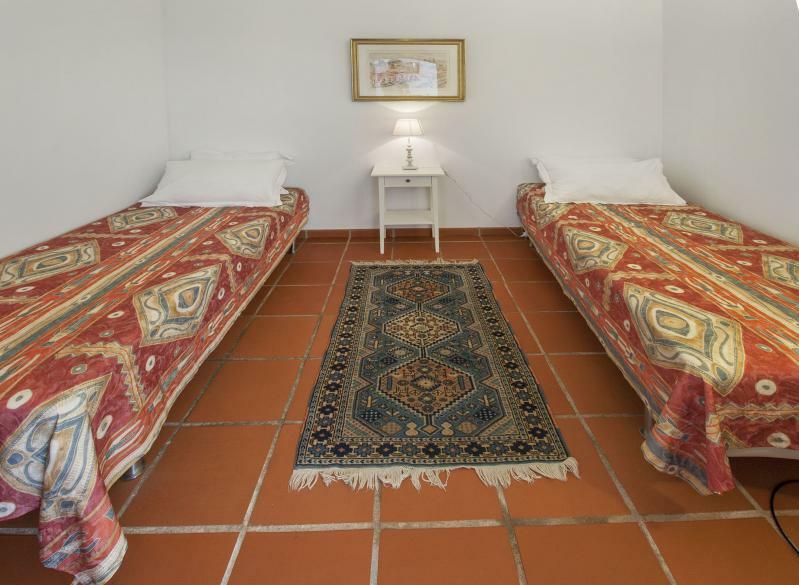 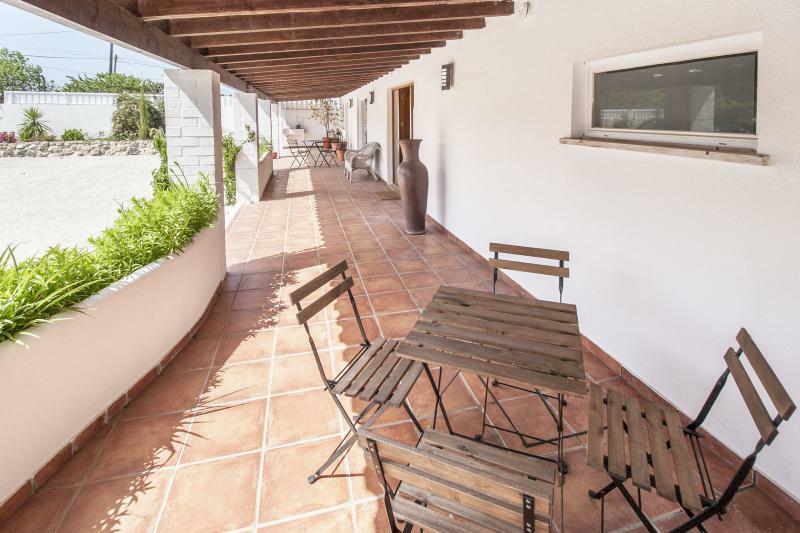 Villa accommodation covering 200 m² on 2 floors for 10 people, 5 bedrooms (with flexible bed arrangements), 4 bath/shower rooms, satellite television, wifi. 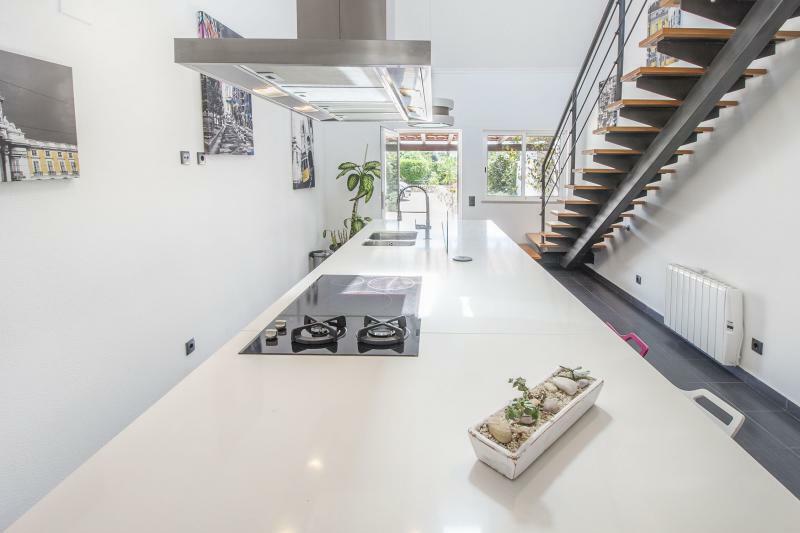 The ground floor of the house has a modern fully equipped kitchen (with dishwasher, oven, gas hob, American fridge/freezer etc.) 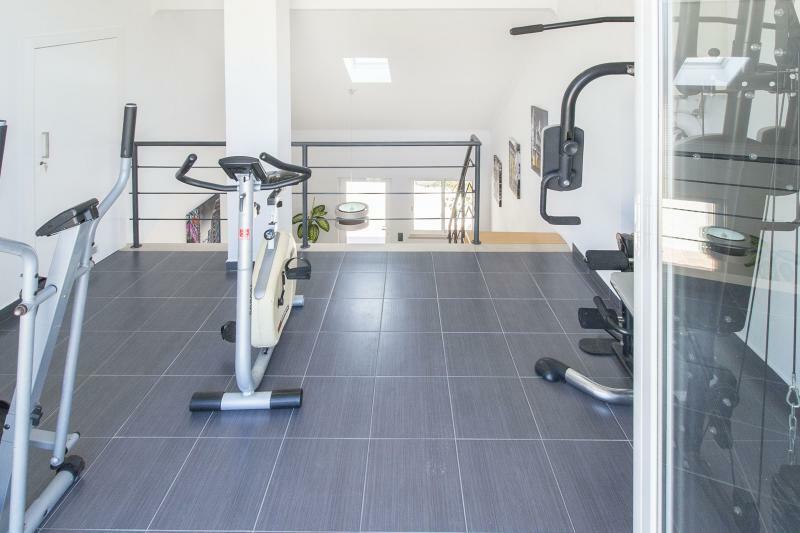 with stairs to a fitness area. 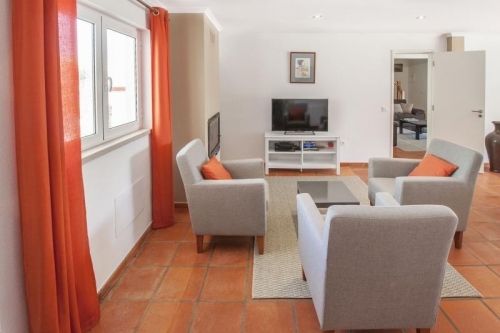 Comfortable living room and a dining room which both open onto the terrace. Twin bedroom (2 x 90 cm wide beds which can push together to make a double bed if required) with en-suite shower room with walk-in shower. Another twin bedroom (2 x 90 cm wide beds which can push together to make a double bed if required) with en-suite bathroom with bath and shower. 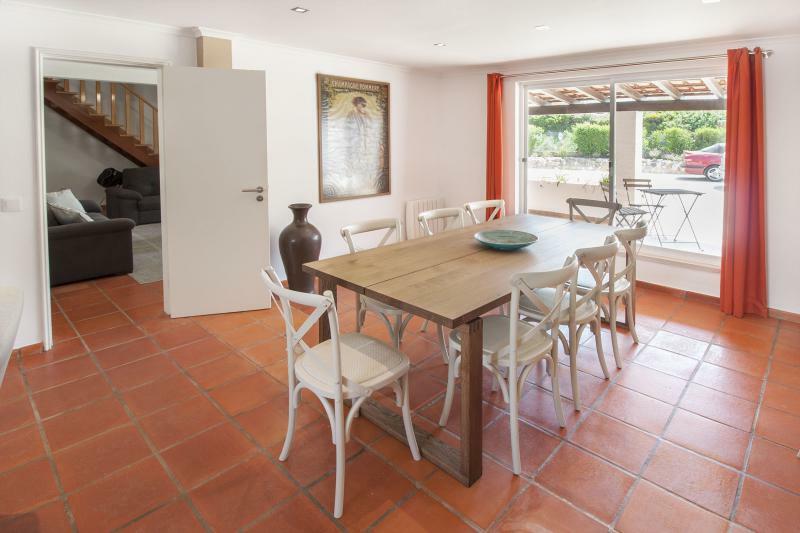 Study room with a large window and door to the terrace. 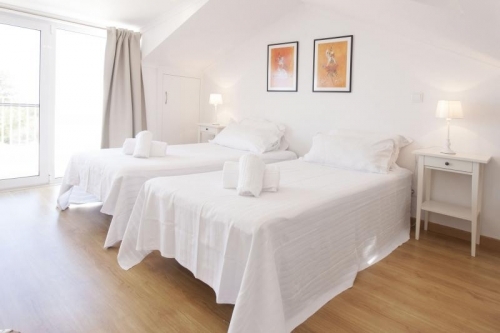 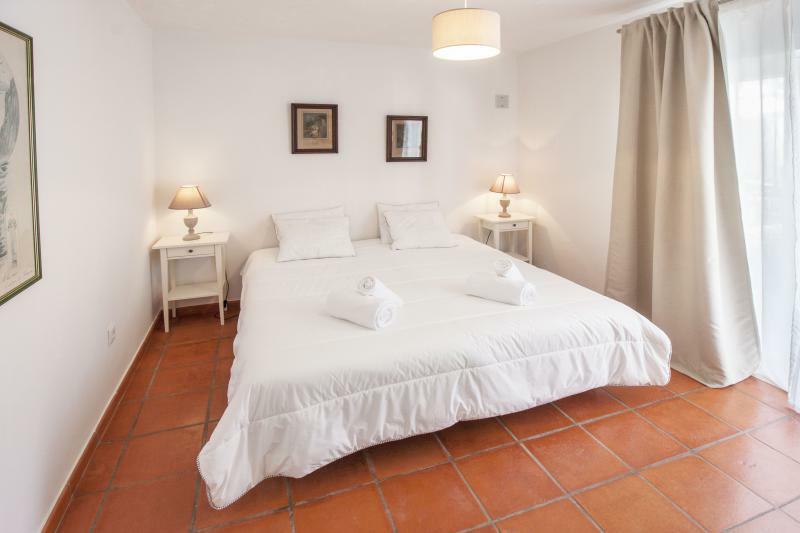 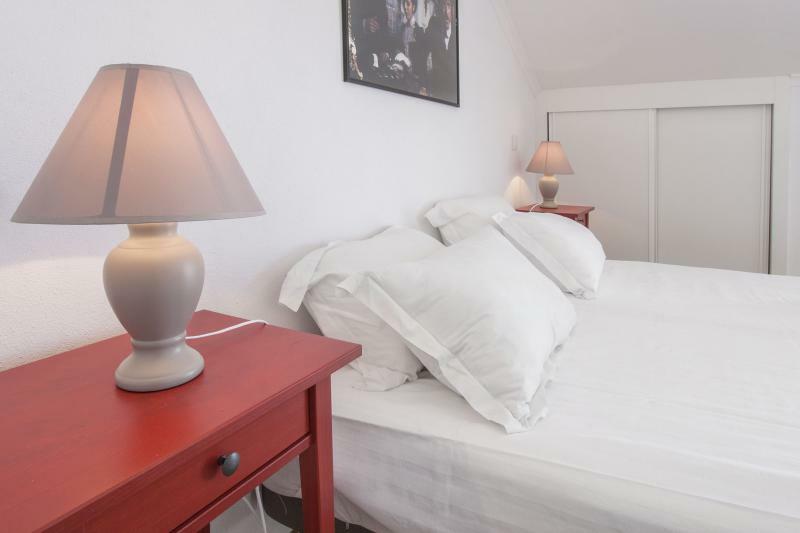 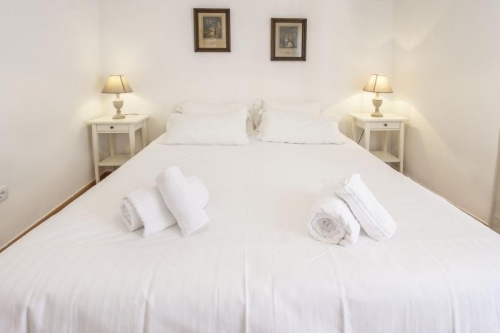 Twin bedroom with no window (2 x 90 cm wide beds which can push together to make a double bed if required). 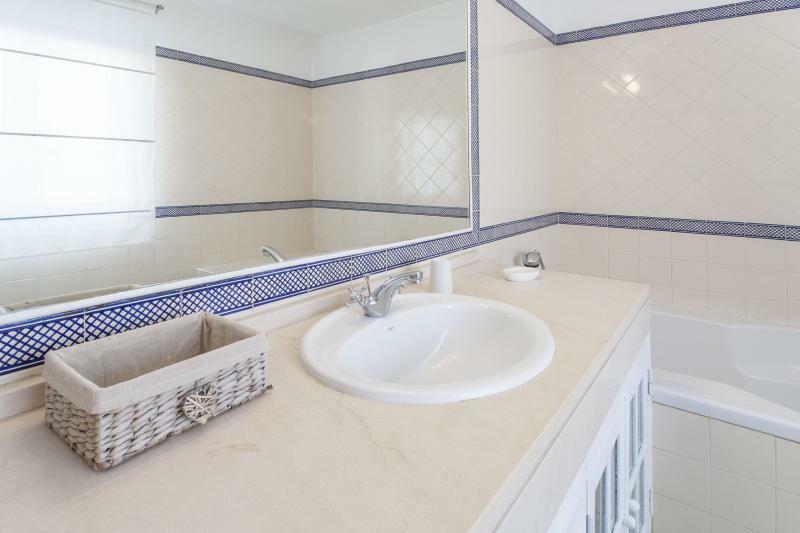 Shower room. 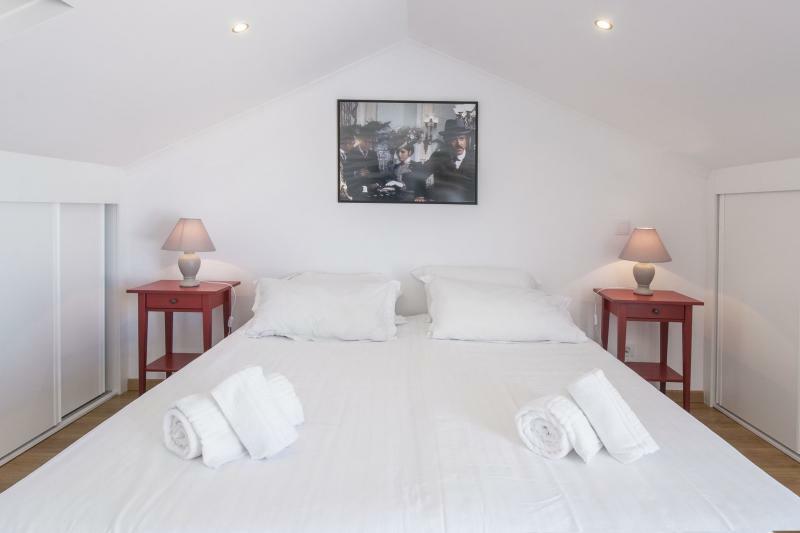 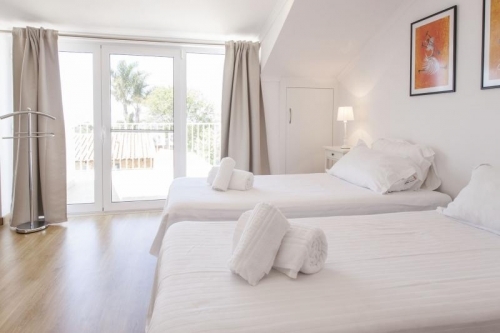 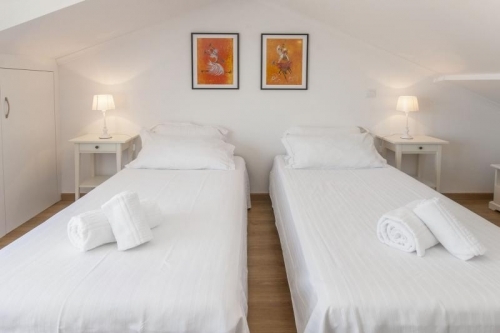 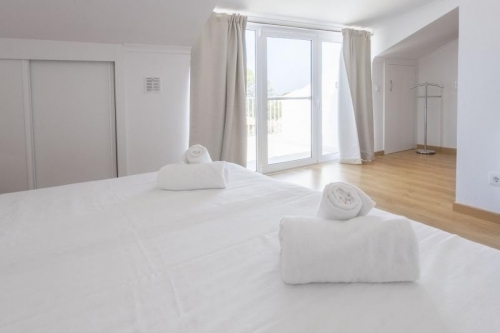 The upper floor has two twin bedrooms (2 x 90 cm wide beds which can push together to make a double bed if required) with sea views and two shower rooms. The interior décor is light and modern with a touch of Portuguese taste, furnishings are comfortable. The nice flat child-friendly grounds cover 1000 m² and there is a ten-metre-long shaped swimming pool with a large patio terrace where you can relax poolside on the loungers and eat outdoor in the parasol shaded area equipped with dining furniture and a barbecue. 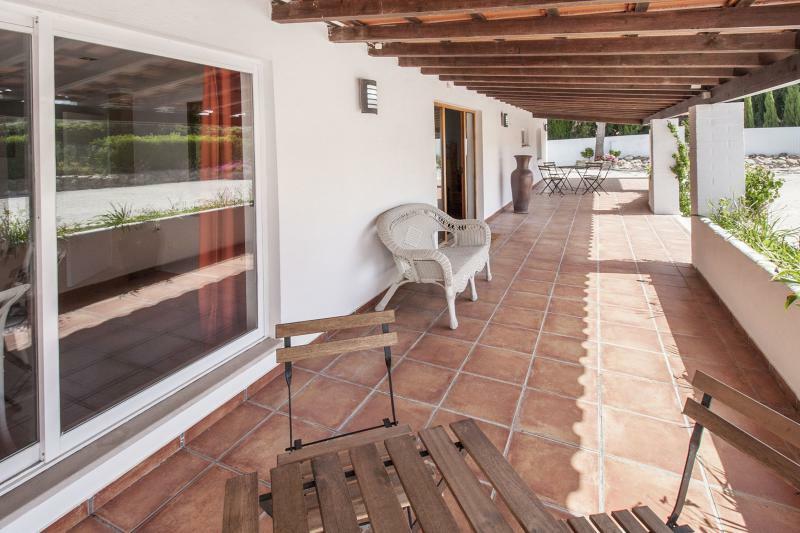 The good sized lawn space is ideal for children to play and there is a large covered terrace which is perfect for sitting and enjoying a holiday novel. 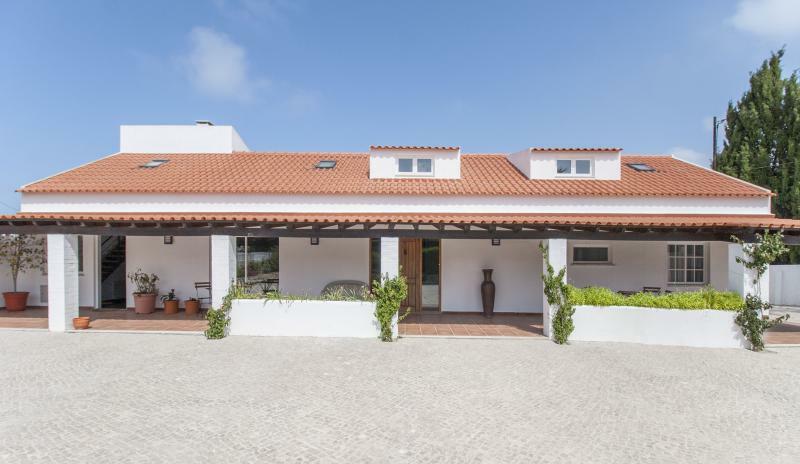 There is parking space within the garden limits for a number of cars. 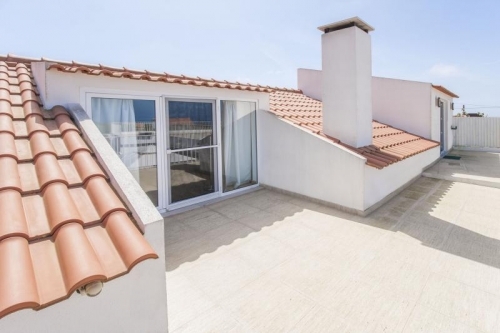 Praia de Cramesines beach 2 km. 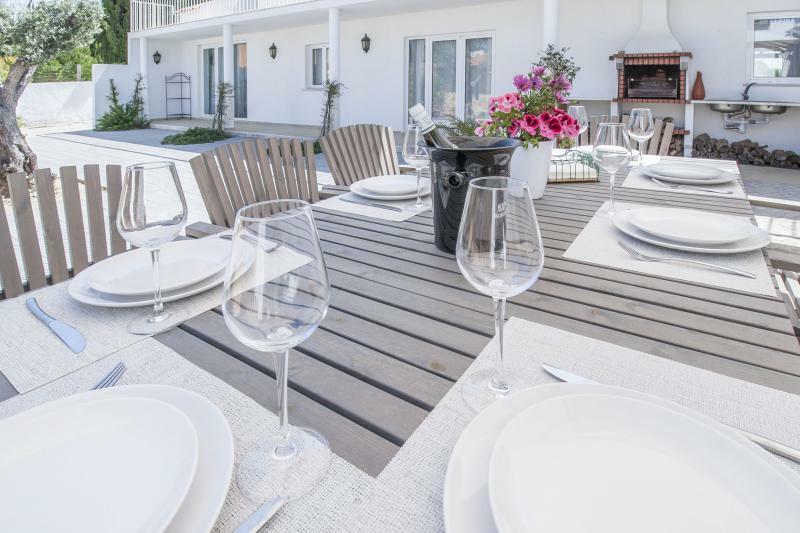 Restaurants 2 km. Supermarket 5 km. Lisbon airport 48 km.